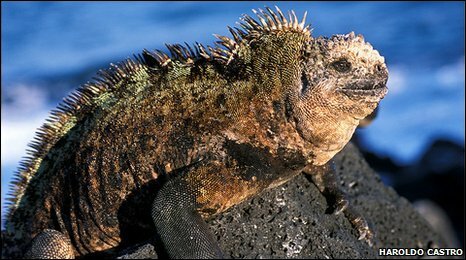 The Galapagos archipelago has already been transformed by global climate changes and human activity, a report has concluded. A series of events, including the 1982 El Nino, overfishing and the appearance of urchins that destroy coral, has altered the islands' marine ecosystems. At least 45 Galapagos species have now disappeared or are facing extinction. That suggests future climate change driven by human activity will have an major impact on the islands' wildlife. The report, published in the journal Global Change Biology, details the conclusions of a scientific meeting convened by the Ecuadorian Ministry of the Environment, the Galapagos National Park Service and environmental and wildlife groups including Conservation International and WWF, to assess the vulnerability of the islands to climate change. It found that the islands have yet to recover from the intense El Nino climate event of 1982 to 1982, which triggered abnormal weather conditions. That event destroyed coral reefs in the archipelago, many of which had persisted for at least 400 years. However, overfishing significantly weakened the marine ecosystem's ability to recover from the devastation caused by the El Nino. In particular, fishermen removed so many large predatory fishes and lobsters from the islands' seas, that huge numbers of sea urchins were able to colonise the area. They then overgrazed the coral, damaging it further and preventing it re-establishing. As a result, 45 species are now globally threatened. All live on the Galapagos, and most are found nowhere else. These 45 species include five mammals, six birds, five reptiles, six fishes, one echinoderm, seven corals, six brown algae and nine red algae. Among those is the coastal-living Mangrove finch, a species once studied by Charles Darwin. Fewer than 200 remain, all of which are dependant on mangroves that are susceptible to further climate change. Other threatened species include the Galapagos sea lion, marine iguana, Galapagos penguin and pink cup coral (Tubastraea floreana), which only survives in a few colonies. Two species have not been formally evaluated, but are thought to have already gone extinct. The Galapagos damsel (Azurina eupalama), which only lived in the archipelago's waters, eating plankton, was once common. But after 1983 it has not been sighted. 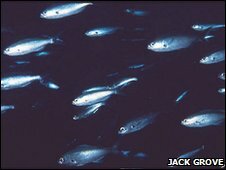 As yet, no marine fish has formally been determined to be extinct, highlighting the impact that climate changes and overfishing have had on the region. "The Galapagos, the Rosetta Stone of evolution, is now teaching us about the far-reaching impacts of climate change on ocean ecosystems," says report co-author Professor Les Kaufmann from Boston University, US. "Nowhere on Earth are the combined impacts of climate change and overfishing more clearly defined than in the Galapagos Islands," says co-author Sylvia Earle of the US National Geographic Society. "Decades of data link recent fishing pressures to disruption of the islands' fine-tuned systems, making them more vulnerable to natural, and anthropogenic changes in climate."